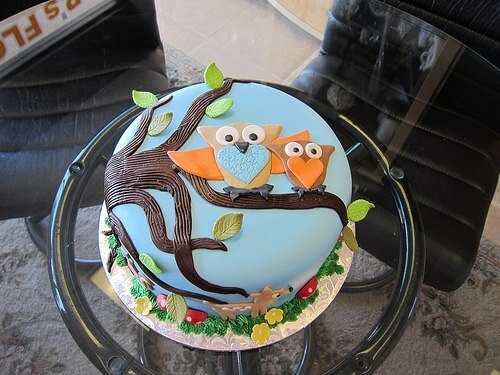 Students working with Briarmist Cakes decided to set up a Pinterest account after discovering that “Food” “Recipes” and “Weddings” made up the top boards among women. Are you a San Diego business owner looking for Internet Marketing help to promote your business? Keep reading to find out how my SDSU class can help you develop a digital marketing strategy to meet your company goals! I’m excited to be teaching the latest Internet Marketing/Social Media Course at San Diego State University. Each semester, the students and I choose 6-8 local businesses to develop and implement Interactive marketing campaigns based on the lessons learned throughout the course. By working with real local business owners, the students gain an understanding of real-life budgets and outcomes of using various digital media to promote a business. Plus, it provides an opportunity for you, as the business owner to learn a bit more about how your company can benefit from Internet Marketing, as well as gain some great insight and creative campaign ideas from business and marketing students (most of which are graduating seniors and ready to join the workforce!). 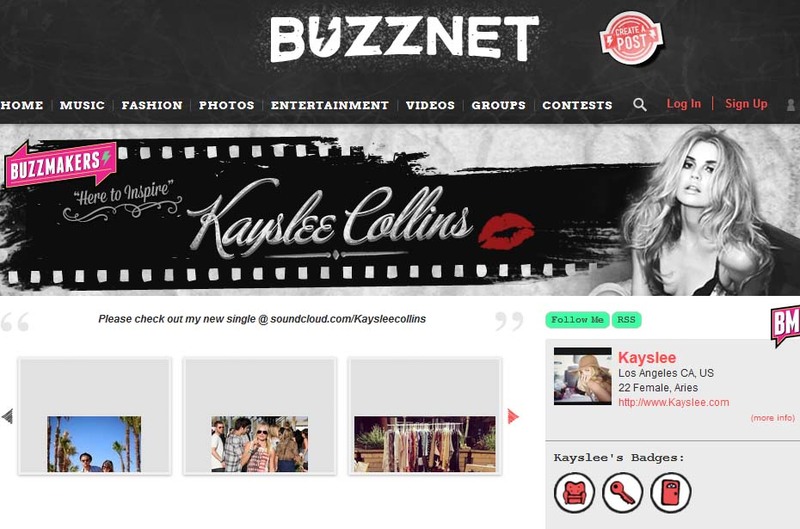 The students helped write online press releases to help promote Kayslee Collins’ upcoming single. A student team worked with the San Diego Rescue Mission to research options, costs, and eventually set up a Mobile Giving campaign allowing donors to text-to-give to help San Diego Homeless. One student even created a short YouTube video to draw awareness of the nonprofit, that generated a $300 donation the day we shared it to Facebook! Students helped build and optimize a new web site, Facebook page, and Pinterest account for a local cake maker – Briarmist Cakes. They also helped to contact past customers and encourage new Yelp reviews. By taking advantage of popular YouTube searches at the time, the student group showed off their creative side by making a video based on the Harlem Shake. South Park Fitness’ Facebook campaign included themed daily posts like “Motivational Monday” and “Work out Wednesday”. 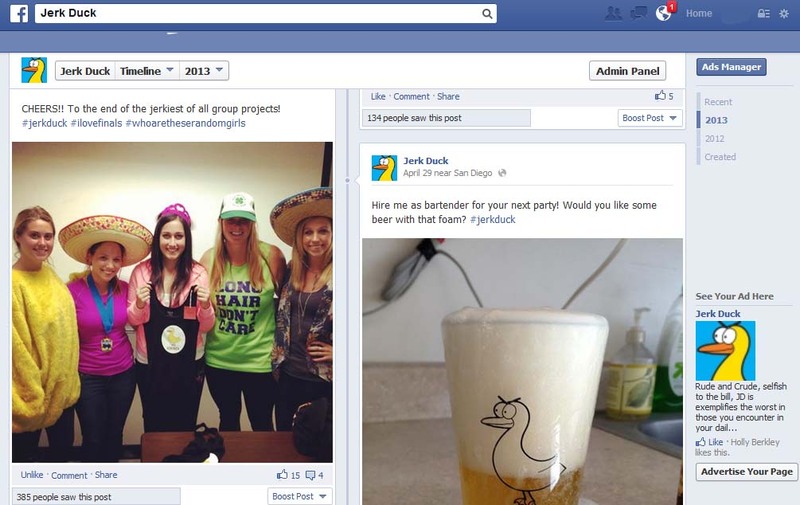 Students focused primarily on Facebook to help South Park Fitness find new members. The campaign included posting strategic daily updates -for example, “Motivational Mondays” and “Work out Wednesdays”. They also advised on Search Engine Optimization techniques and viral incentives to generate more customers based on referrals. Luxe Global Entertainment also participated in the program. Throughout the semester, students provided insight and advice on the social outreach of Kayslee Collins, a local model/singer. The students also helped write press releases and advise on web sites where she could best promote her upcoming single. A group of students choose to build a social network presence around creating a personality for Jerk Duck – a comic character in the San Diego Reader. They came up with creative, fun ways to attract the college audience to the new Twitter and Facebook accounts through a series of humorous and timely posts. The students came up with creative, fun ways to attract the college audience to the new Twitter and Facebook accounts for Jerk Duck. Please contact me if you’d like more information about how your company can participate in this year’s class!